There is a reassuring rhythm to life on The Homestead but, with six people in residence, changes in tempo are often called for. Central to this, the score to our symphony so to speak, is The Diary; a document so sacrosanct that it is beyond argument. Any appointment, outing, vehicle requirement – in fact any deviation from routine – must be inscribed on the appropriate page of this hallowed tomb because, as The Bean Counter is wont to declare, if it’s not in The Diary, it doesn’t exist. This cast iron, not negotiable approach to time, people, and vehicle availability allows us to operate on a week by week basis rather than having to constantly look at the big picture. So it was with much joy, when the page was turned and this week’s movement exposed, we were reminded that our week was ending in a very leisurely fashion as The Kingdom of Nova had designated Thursday and Friday as teacher-only days. What a gift! It’s ridiculous how much more can be stacked into the day when you’re not having to keep one eye on the clock, mindful of the school drop off and pick up. 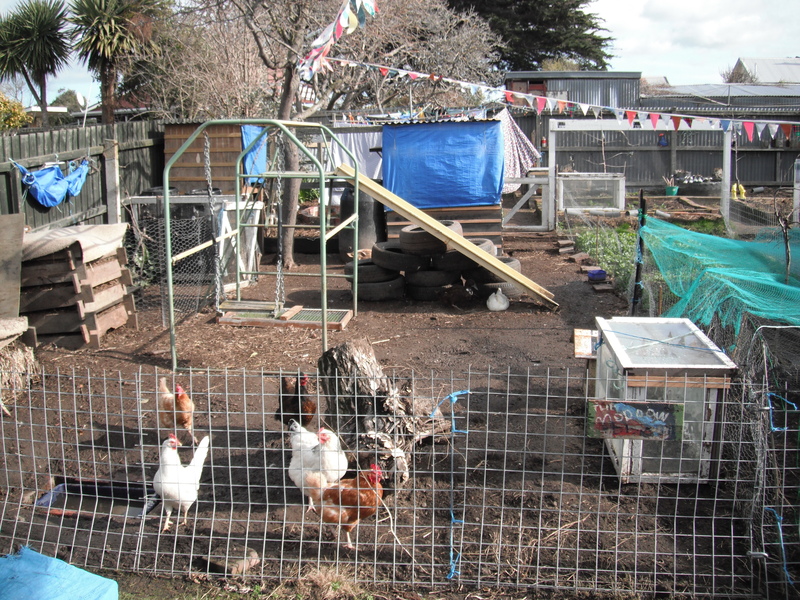 Apart from the coop renovation, an undertaking requiring a day of uninterrupted good weather, the chicken run has now received the attention it required. The outlook from the temporarily relocated dining table is all the prettier now the fencing has been tidied, rose trimmed, dead camomile removed, and discarded broccoli stalks and cabbage leaf ribs dispatched to the compost. A shopping foray was undertaken to secure the much debated and finally decided on light fittings for the new kitchen/dining room. Then, as often happens on the Homestead, once we started opening the wallet several more much anticipated purchases were made. Miss Ruby finally got the upgrade in collar that was fast becoming essential and the Homestead toolbox now includes a spanking new cordless drill. The former has resulted in much preening and primping in the goat paddock and the latter enabled us to make The Farmer’s wardrobe operational. Inside. the kitchen renovation continues. 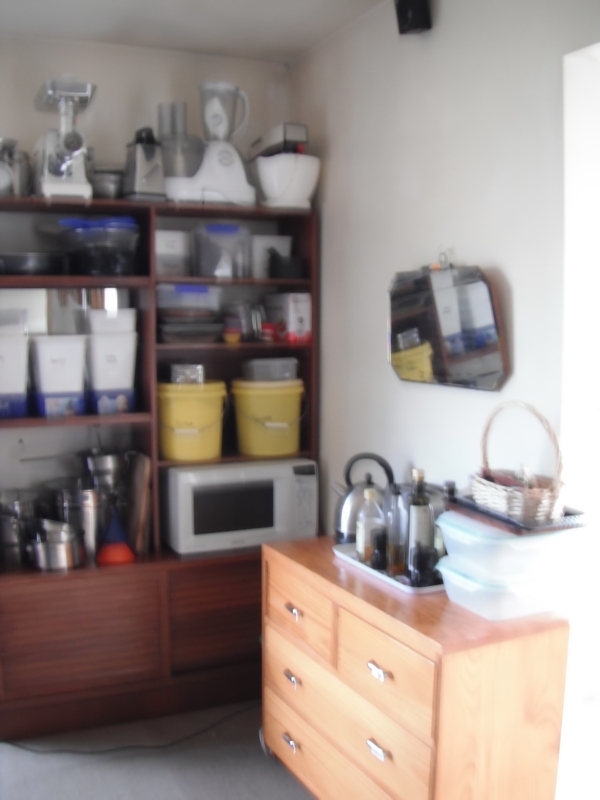 The corner of the living room, so long a designated “sleeping area” by various bedroom makeovers, has been rezoned “food preparation” and visitors to the Homestead are currently entertained amid the pots, pans, pantry supplies and crockery usually hidden away in custom-made cupboards. A sneak preview of next week tells us that the plumber will arrive on Monday to disconnect the sink and reposition pipes for the new layout, thus removing the last vestige of a conventional cook-house. It was with a feeling of “job well done” that those on deck on Friday, including The Bean Counter who had been called on to pack way too much into a four day week, pedalled off to the weekly shopping. A leisurely meander and catch up around the shops is the perfect way to finish a week and lunch was a long, casual affair around the table in Crema. A few extra treats in the trolley, there’s got to be some benefits to camp-cooking, meant for some creative transporting options on the homeward journey and it was while we were stowing these that the courier called. Winning the awesome, much admired tea cosy in fellow blogger Colorpencil2014‘s giveaway was not in the diary, neither was the extra gift of a print of her heart-warming artwork. Despite that, and contrary to The Bean Counter’s adage, they most definitely do exist and are hugely prized and treasured. Thank you, Johanna, for adding a pinch of undiarised Jubilate to our Homestead song sheet. 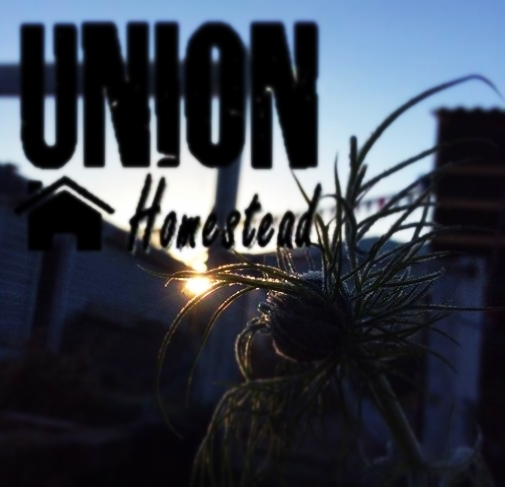 This entry was posted in Union Homestead and tagged Aotearoa, blogging, Christchurch, diary, friends, friendship, garden, gardening, Goat, goats, Homestead, homesteading, kitchen, kitchen design, New Zealand, organisation, organiser, organising, Otautahi, prize, remodelling, renovation, renovations, school, Shopping, surprise, teacher only day. Bookmark the permalink. I admire the way you manage your lives together, well done. I agree wholeheartedly with you about the amount of extra jobs that can be done when there is no school or college run to do. I am not looking forward to next month when my double daily trips to college with my daughter recommence. You all work so hard and have made such improvements to your home in the short time I have been following your blog. I can understand that, especially when you have so much to do. When projects go slowly because of problems or just because they are complicated it can seem as if nothing is happening. When you’re tired and fed up with the house in disarray it can seem as if you’ll never get to the end of the ‘to do’ list. We have had old problem houses in the past which have needed almost constant building works to get them habitable. We have to start doing a lot of work on our current house soon and I am dreading it! The chicken run is looking very impressive. I hope that extra eggs are forthcoming as a reward. I too thought the chicken run was looking pretty spiffy. Glad the ducks were appreciative. Now that our eldest can drive and has a car, my life has changed. I can no longer use the excuse of running around for the girls to explain my lack of activity around the house or farm. She’s fortunately still new enough at it that fetching or delivering her younger sibling is not the chore it will likely become soon enough. In the meantime, I’m suddenly getting more done. Which was your point, of course :). I LOVE the tea cosy. And the artwork. You are really moving on this kitchen reno, can’t wait to see the finished result. Will the swanky new cooker be part of the reno, or is it coming in the future? We reconsidered the cooker and opted for another as anecdotal evidence (ie: those who have owned them) didn’t seem favourable enough to warrant the expense plus it needed an allowance of 10 cm on either side to allow for door opening…things are snug in there as it is without losing 20 cm. Thanks for being nice about the chicken run. It’s ramshackle at best but we love it. Well, what a great post. I felt like sitting in your pretty and tidy kitchen for a while. 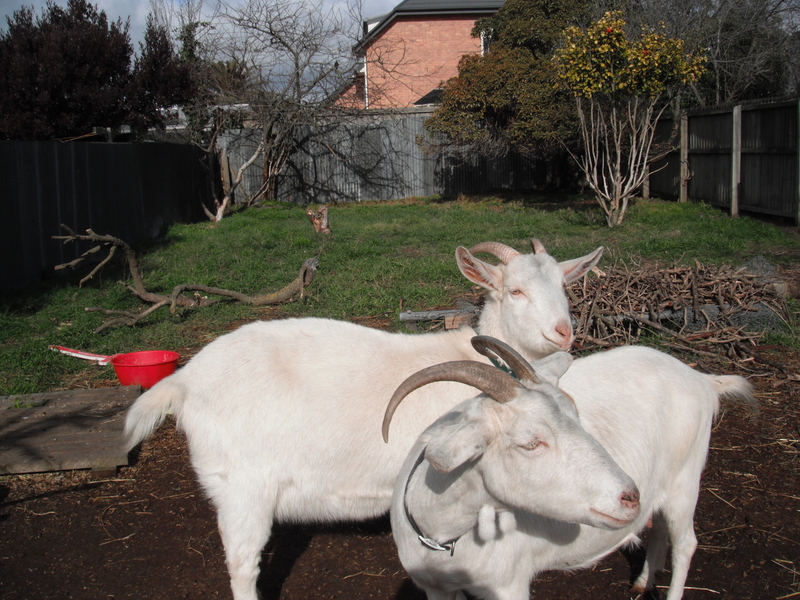 The goats and chickens look ever so stylish and I find that when Mr. Walker has a new tool…al kind of odd jobs get finished all of a sudden! 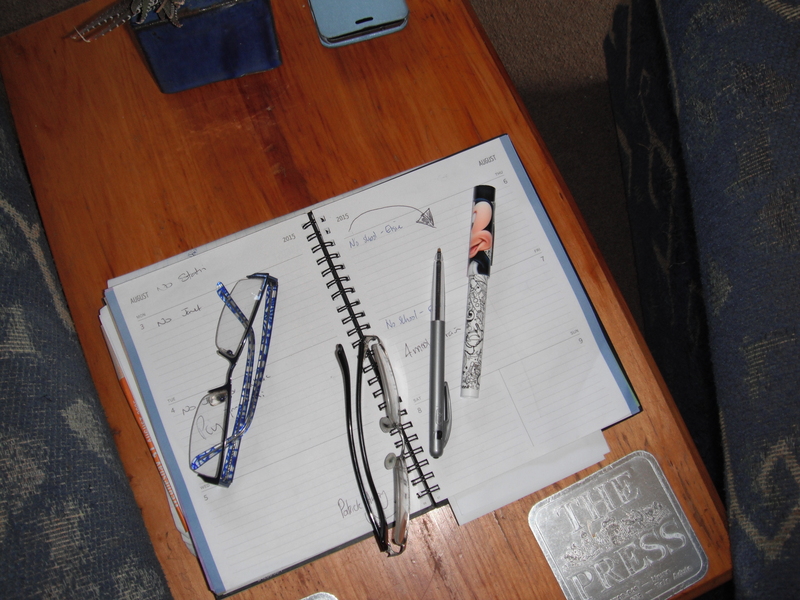 With an empty nest and working from home…I forgot almost about time schedules and all.